LEED certification, Passive House certification, attacking homelessness—these projects show you how it’s done. Describe the funding model and its benefits used to build Teacher’s Village. List the strategies used during construction of the Bouleta building to achieve airtightness goals. 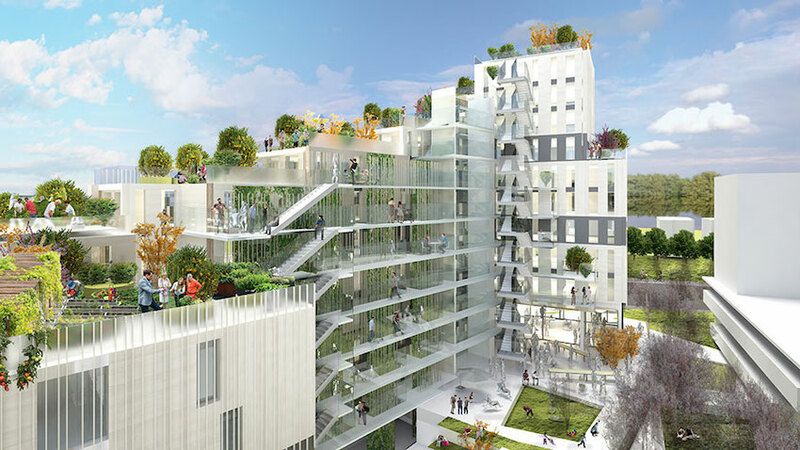 Summarize the model of housing diversity used in the Future Towers project. Provide two ways the designers of the Shermerhorn building sought to engage the community. 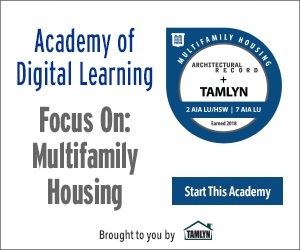 This course is part of the Multifamily Housing Academy. Multifamily and affordable housing is experiencing a major shift from the days of government-funded high-rise towers. Architects and designers are making socially conscious choices, and with those, great strides in improving the homeless population in some cities, as well as the sustainability and resiliency in multifamily housing. This LEED-certified multifamily building in Newark, New Jersey, is one of the first ground-up residential construction in the city in decades. Bouleta, a 28-story residential high-rise in Bilbao, Spain, has become the world’s tallest building certified under the Passive House standard. This design uses cross-laminated timber (CLT) wall, floor, and ceiling panels and CLT-based modular cladding panels, pre-built offsite with insulation, windows, and a metal skin, to achieve its affordability, sustainability, and livability trifecta. Housing more than 10,000 people, this project in Pune, India, also sought to support sustainability, recycling, and community engagement. The Shermerhorn building in Brooklyn houses formerly homeless individuals and low-income working people. Design played an important role in neighborhood acceptance. Rosanne Haggerty is the founder of Community Solutions, which addresses sustainability in the housing market and the larger problem of fragmented local housing and social-support systems. Some call it plain, but this 26-story, 273,000-square-foot high-rise on New York City’s Roosevelt Island still represents a milestone for green multifamily development.